The Expat Compass: Cheaper loans, lower registration fee for green homes soon! 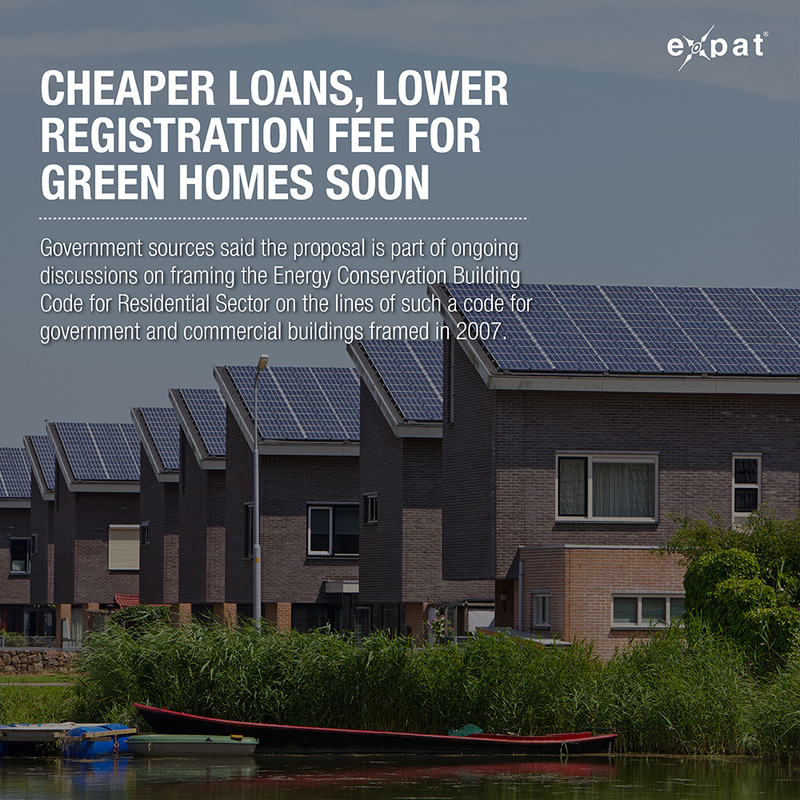 Cheaper loans, lower registration fee for green homes soon! 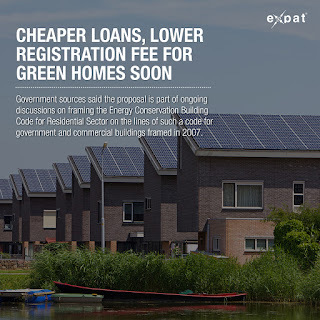 NEW DELHI: The government is working on a scheme to promote energy efficient homes by offering cheaper loans and lower registration fee for green residential units as it ramps up efforts to mitigate climate change by moving towards a net zero-energy building regime. Government sources said the proposal is part of ongoing discussions on framing the 'Energy Conservation Building Code for Residential Sector (ECBC-R)' on the lines of such a code for government and commercial buildings framed in 2007. Minister for power, coal and renewable energy, Piyush Goyal, is scheduled to release the refreshed version of the code, ECBC-2017, on Monday, outlining a quantum leap towards a greener outlook for Indian realty. Sources said the Bureau of Energy Efficiency (BEE), an outfit under the power ministry, is working on a scheme to incentivise new homes that are more energy efficient and make lower demand on utilities for lighting and cooling energy. Also on the table is a proposal to extend the incentives to make existing residential properties more energy efficient through retrofitting. The thinking behind the proposals is in line with the incentives given to rooftop solar projects for the residential sector, which have been brought under the ambit of home loans that enjoy low interest rates. Admittedly, it is still a work in progress and, as the sources said, "the i's are yet to be dotted and the t's to be crossed". The move for a code for residential buildings has been prompted by concerns over demand side management, a vital step for maintaining a sustainable growth and lowering carbon emission at a time when the economy trots apace. ECBC-R will be a booster for the government's 'Make in India' campaign as it is expected to raise the demand for energy efficient household equipment as well as other services. As reported by TOI on November 2, 2016, the World Bank estimated India's market potential for energy efficient products at Rs 1.6 lakh crore, on the basis of the success of Ujala — the Narendra Modi government's scheme to replace old filament and CFL bulbs with modern LED lamps. Seen in the backdrop of climate change and expanding cities, ECBC-R will strengthen the government's efforts at reducing the carbon footprint of a growing segment of energy consumers. It will also add green jobs in the real estate sector.